Observation - Woodpigeon gorging on berries - UK and Ireland. Description: This woodpigeon gorged on berries in a tree in a suburban area of London. 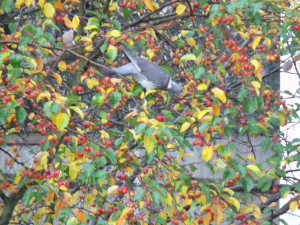 This woodpigeon gorged on berries in a tree in a suburban area of London.